Have you all heard of Skirting the Issue? It’s an amazing event that Simple Simon & Co. host every year, where everyone is invited to sew up skirts for local foster centers. You can read all of the Skirting the Issue details here! Here are a bunch of skirts I’ve made (some with tutorials) if you feel the urge to sew some up! 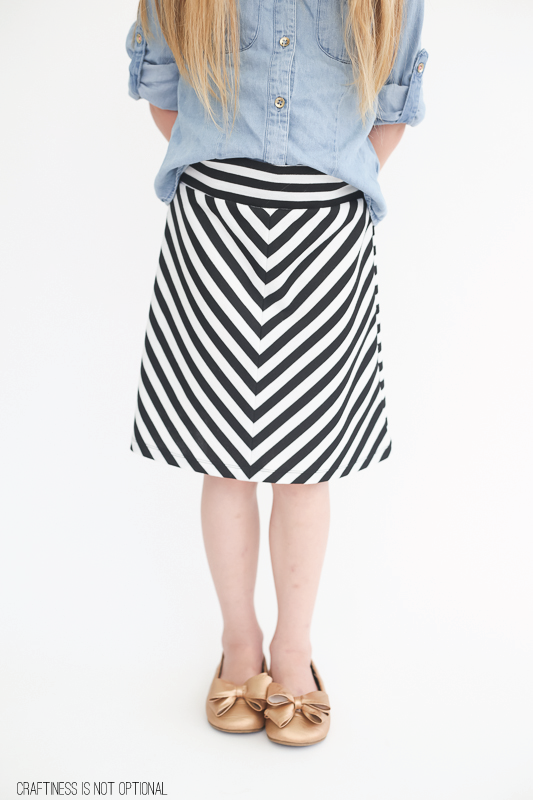 Today though, I am so excited to share this simple knit skirt tutorial (with free pattern!) with you all! 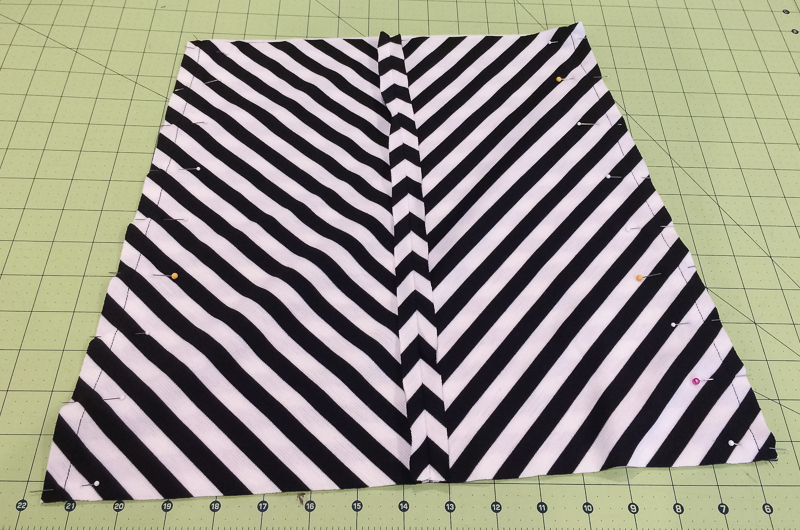 It’s got a fun design element on the front where the panels are cut on the bias and then pieced together, although you could also sew it up with out doing that part! 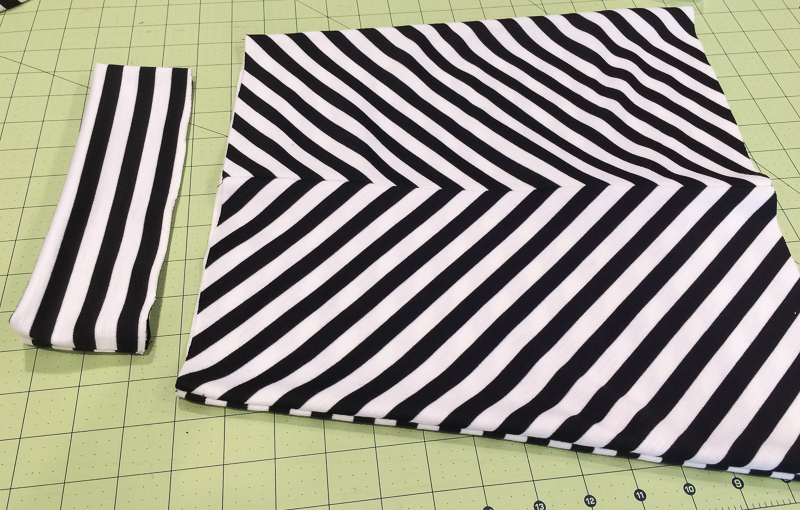 Cut two front pieces on the bias, lining up the arrow on the pattern with the stripes. 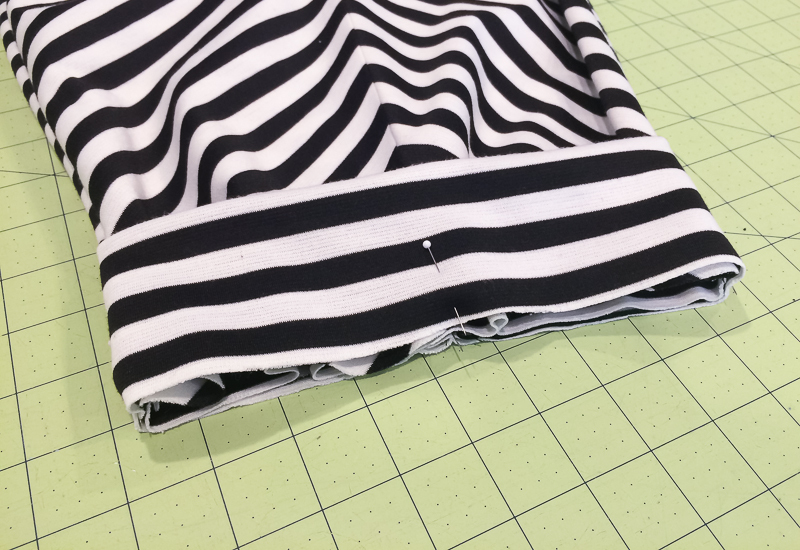 Pin and sew together with a 1/2″ seam allowance. Press seam open. 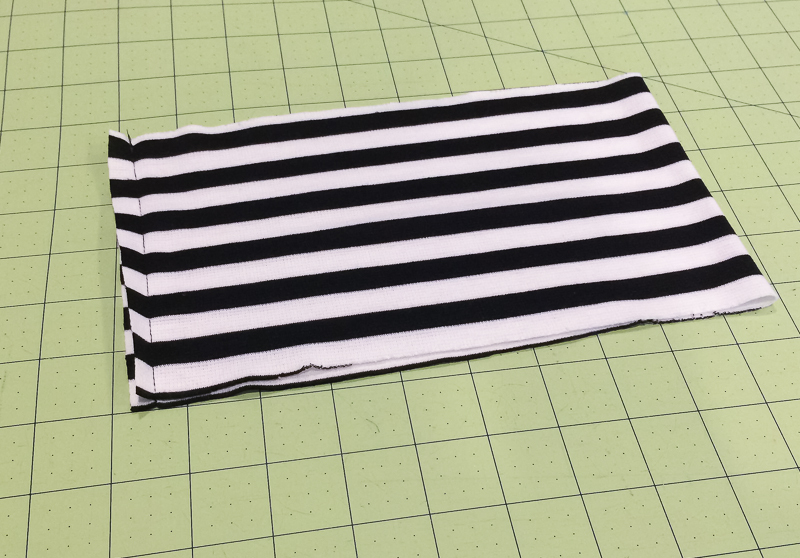 Then cut a back piece on the fold using the labeled line on the pattern. 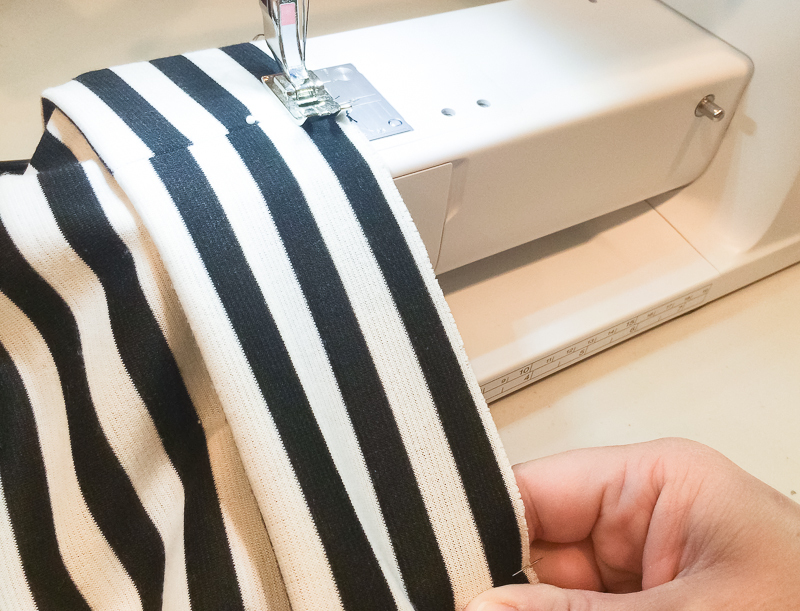 Pin the front and back pieces together at the sides and sew together with a 1/2″ seam. 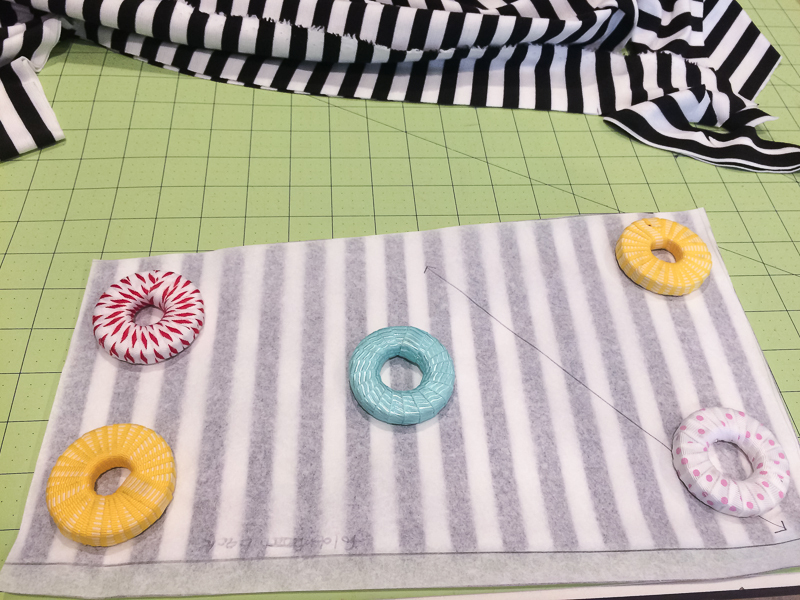 Cut a waistband piece out on the fold, then pin and sew the two short sides together. 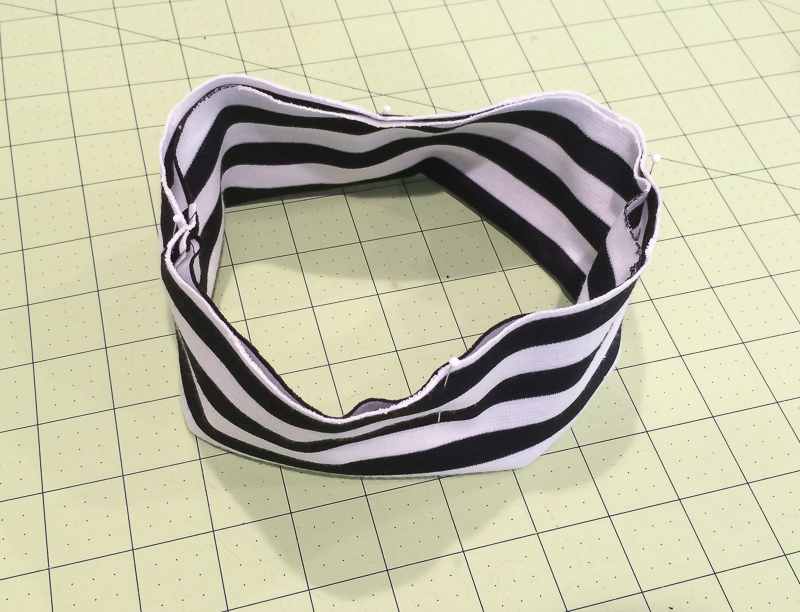 Fold the waistband over with wrong sides together. 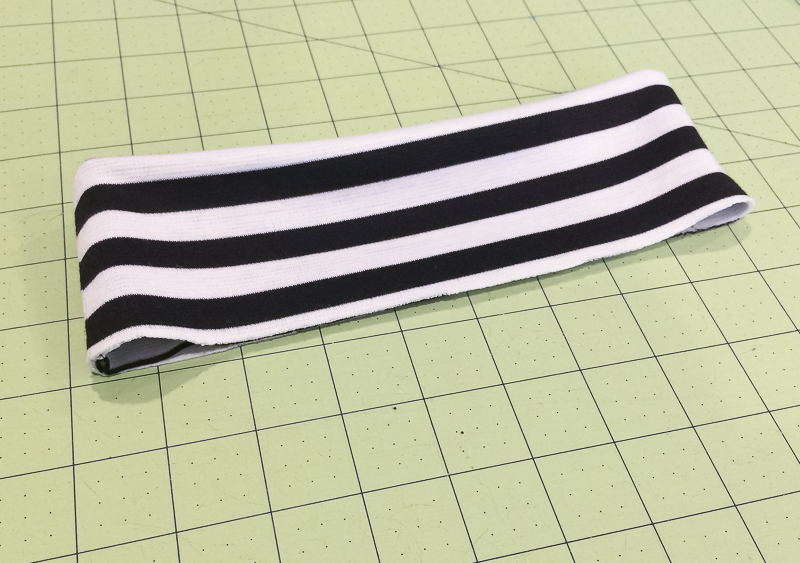 Mark the waistband at the seam, across from the seam, and then the other two sides so that they are equally spaced. Now to attach the waistband to the skirt! 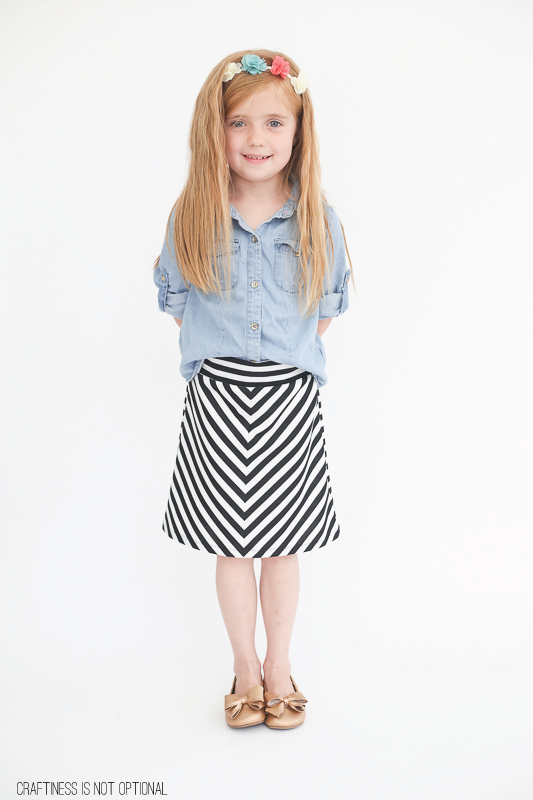 Line up the waistband seam with the back of the skirt. Pin the other 3 points together where they match up. 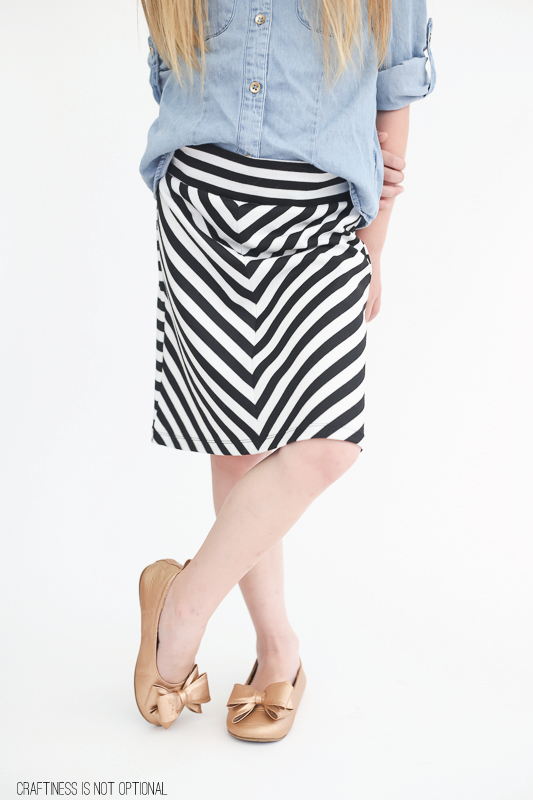 Sew waistband to the skirt with a zig zag stitch, and gently stretching the waistband as you go! 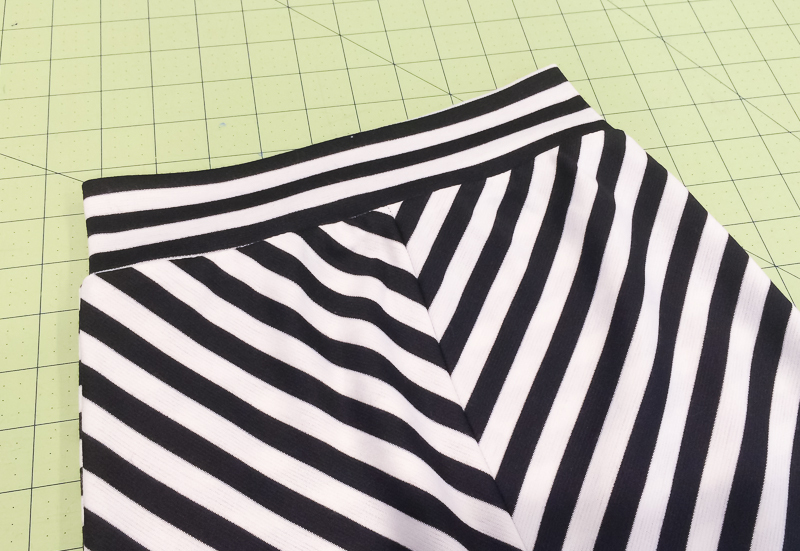 Finish the seams if preferred, and then hem up the bottom of the skirt 3/4″. Super cute – I want to make one for myself! Cute cute cute! 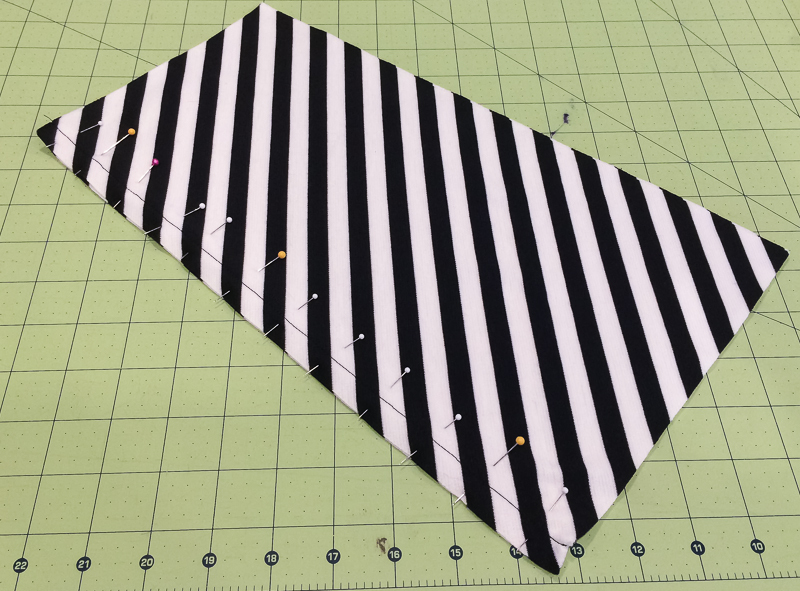 And fabulous stripe-matching! Thank you for the great tutorial. My great-granddaughter is 3 1/2 and will look so darned cute in this! 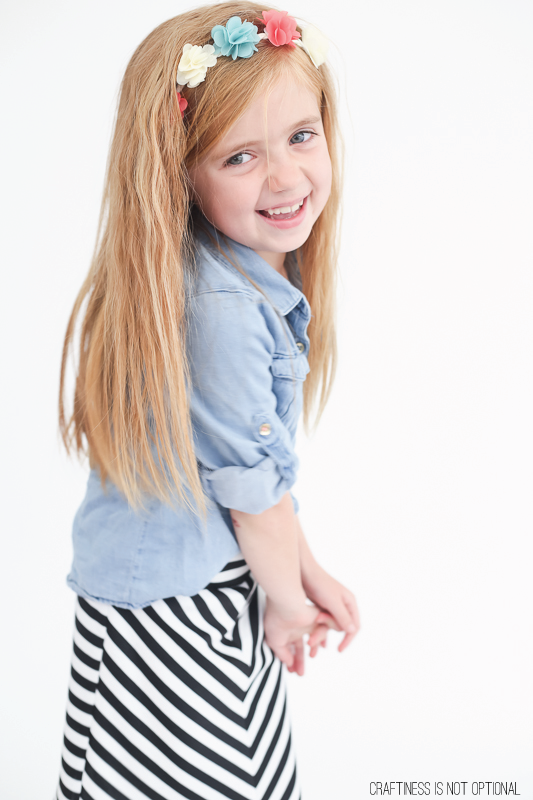 Her hair is about the same length as your adorable model and dishwater blonde. Talk about doing a double take! !